Last years Passata Day with Milkwood was a highlight for me, a big highlight. When the horizon was promising another gorgeous tomato infused day, well I was glad to get a chance to be there again. Coming together as a community with a group of like minded souls. Wonderful conversations accompanying wonderful food…well this is a highlight of life surely. Simple living at it’s beautiful, delicious best. Trolleyd cocktails and mocktails using local, foraged, sustainable and organic goodness. Passata Day 2015… you were delicious! 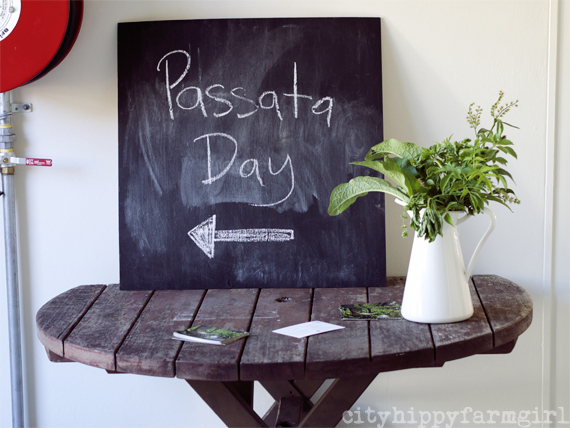 For more Passata Day goodness check out Rachael’s stunning pictures here. 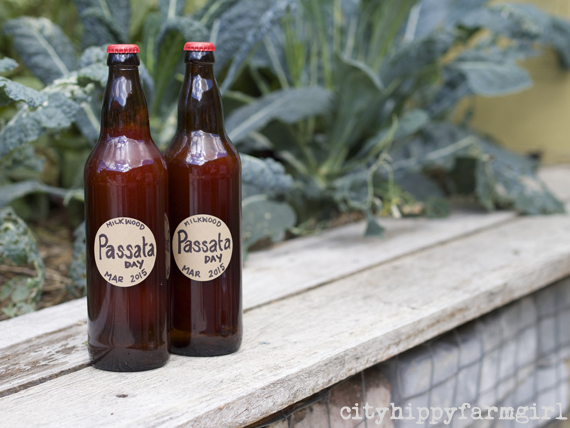 This entry was posted in Connecting with Community, Food Glorious Food and tagged 2015, Connecting with Community, milkwood, milkwood permaculture, passata day, simple living by cityhippyfarmgirl. Bookmark the permalink. Oh, that must of been a fun event – Brydie – I have passata envy! It was Rachel 🙂 Organise one your way…I’m sure there would be others that would interested in joining in on the tomatoey fun. Nice work 7am superstar, you rock. So pleased I got to go this year, I’m still smiling about it today. Like how you’ve put your snaps together, the little collages work so well and love the oozy juicing one. Loving your pics Rachael, swoon worthy lady… Swoon worthy I tell you! your posts, and others from Milkwood, always make this day look so fmuch fun. I’ve never tasted passata, (and I’m not a tomatoe fan), but you guys make me want to try it. I love the idea of a coming together of like minded people to play with and eat food and drink merrily – that’s real fellowship. It is Tamara. And the good thing about it, is that it can be done over anything, not just tomatoes. Food and community, works so beautifully well. It would be wonderful to be able to make it every year, to keep you going all through the cooler months…ah storage I would love thee. I was there too! It was great fun, and the food was delicious! Wish I’d known you were there and we could have chatted. Oh that would have been great Kate! next one eh? Or another Milkwood gathering? I’m not Italian, but thinking I shall make this a family event, looks like a bunch of fun, and who doesnt love having sauce all through winter?! Fabulous photos too, Brydie.